Justin Nojan Sullivan, 21, of Morganton, North Carolina, was sentenced today to life in prison for attempting to commit an act of terrorism transcending national boundaries, in support of the Islamic State of Iraq and al-Sham (ISIS). Sullivan pleaded guilty to the charge on Nov. 29, 2016. Acting Assistant Attorney General for National Security Dana J. Boente, U.S. Attorney Jill Westmoreland Rose of the Western District of North Carolina and Special Agent in Charge John A. Strong of the FBI’s Charlotte, North Carolina Division, made the announcement. U.S. District Judge Martin Reidinger presided over the sentencing. “Sullivan was actively planning the mass killing of innocent people with an attack designed to inflict maximum casualties and maximum pain in the name of ISIS, a sworn enemy of our nation. Sullivan’s allegiance to ISIS did not stop there. He also planned to film and send a video of his deadly attack to now-deceased Junaid Hussain, a prominent ISIS member based in Syria, and further expressed his wish to create a new branch of the so-called Islamic State in the United States. The life sentence imposed on Sullivan reflects the seriousness of his crimes, protects the public from the danger he poses, and serves as a deterrent to others who wish to harm civilians within our borders. Our fight against terrorism continues whether against those who commit crimes on behalf of ISIS or any other foreign terrorist organization,” said U.S. Attorney Rose. “Identifying a terrorist before an attack happens is one of the most difficult tasks we face in the FBI. We compare it to finding a needle in a stack of needles. But that is exactly what we did to stop Justin Sullivan (link is external) from carrying out his murderous plot in the name of ISIL. It took an incredible level of cooperation and collaboration between local, state and federal law enforcement agencies. Today’s life in prison sentence is the result of the hard work of the FBI’s Joint Terrorism Task Force working around the clock to protect this country from those who seek to do us harm,” said Special Agent in Charge Strong. According to information contained in court documents, starting no later than September 2014, Sullivan sought out and downloaded violent ISIS attacks on the Internet, such as beheadings, and collected them on his laptop computer. Court records indicate that Sullivan openly expressed support for ISIS in his home and destroyed religious items that belonged to his parents. 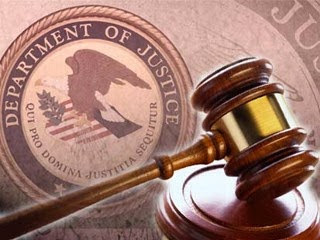 As Sullivan previously admitted in plea related documents filed with the court and at his plea hearing, beginning no later than June 7, 2015, Sullivan conspired with Junaid Hussain, an ISIS member responsible for online recruitment and providing directions and inspiration for terrorist plots in Western countries, to plan mass shooting attacks in North Carolina and Virginia. Sullivan discussed those plans on social media with an undercover FBI employee (UCE), who Sullivan attempted to recruit to join in such attacks. Court documents indicate that Sullivan told the UCE via social media that it was better to remain in the U.S. to support ISIS than to travel. Sullivan suggested that the UCE obtain weapons and told the UCE that he was planning to buy a semi-automatic AR-15 rifle at an upcoming gun show in Hickory, North Carolina. On or about June 20, 2015, Sullivan attempted to purchase hollow point ammunition to be used with the weapon(s) he intended to purchase. According to court records, Sullivan had researched on the Internet how to manufacture firearm silencers and asked the UCE to build functional silencers that they could use to carry out the planned attacks. Court records show that Sullivan told the UCE he planned to carry out his attack in the following few days at a concert, bar or club, where he believed as many as 1,000 people would be killed using the assault rifle and silencer. Filed documents indicate that over the course of Sullivan’s communications with Junaid Hussain, Hussain had asked Sullivan to make a video of his planned terrorist attack, to which Sullivan had agreed. On or about June 19, 2015, the silencer, which was built according to Sullivan’s instructions, was delivered to him at his home in North Carolina, where Sullivan’s mother opened the package. Sullivan took the silencer from his mother and hid it in a crawl space under his house. When Sullivan’s parents questioned him about the silencer, Sullivan, believing that his parents would interfere with his plans to carry out an attack, offered to compensate the UCE to kill them. Sullivan previously admitted that he took substantial steps towards carrying out terrorist attacks in North Carolina and Virginia by: (1) recruiting the UCE; (2) obtaining a silencer from the UCE; (3) procuring the money that would have enabled him to purchase the AR-15; (4) trying to obtain a specific type of ammunition that he believed would be the most “deadly”; (5) identifying separate gun shows where he and the UCE could purchase AR-15s; and (6) obtained a coupon for the gun shows he planned for himself and the UCE to attend on June 20 or 21, 2015. The Court announced its reasons for accepting the agreed life sentence. The Court noted that Sullivan’s plan to murder innocent civilians at a social gathering was similar to the Orlando nightclub attack in 2016. According to the Court, Sullivan’s plan, however, was more sinister because he planned to use stealth – including a mask to hide his identity and a silencer to kill as many as possible, with the hope to escape and kill again. The Court found that Sullivan’s offense was cold and calculating. In making today’s announcement, Acting Assistant Attorney General Boente and U.S. Attorney Rose praised the investigative efforts of the FBI, the Burke County Sheriff’s Office and the North Carolina State Bureau of Investigation. Acting Assistant Attorney General Boente and U.S. Attorney Rose also thanked the U.S. Postal Inspection Service’s Charlotte Division, the FBI’s Washington Field Office, the U.S. Attorney’s Office for the Eastern District of Virginia, the U.S. Customs and Border Protection in Charlotte, the North Carolina Highway Patrol and the Hickory Police Department for their assistance in this investigation. The case is being prosecuted by Assistant U.S. Attorney Michael E. Savage of the Western District of North Carolina and Trial Attorney Gregory R. Gonzalez of the National Security Division’s Counterterrorism Section.